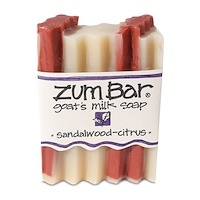 Fresh goat's milk has long been used as a skin moisturizer. 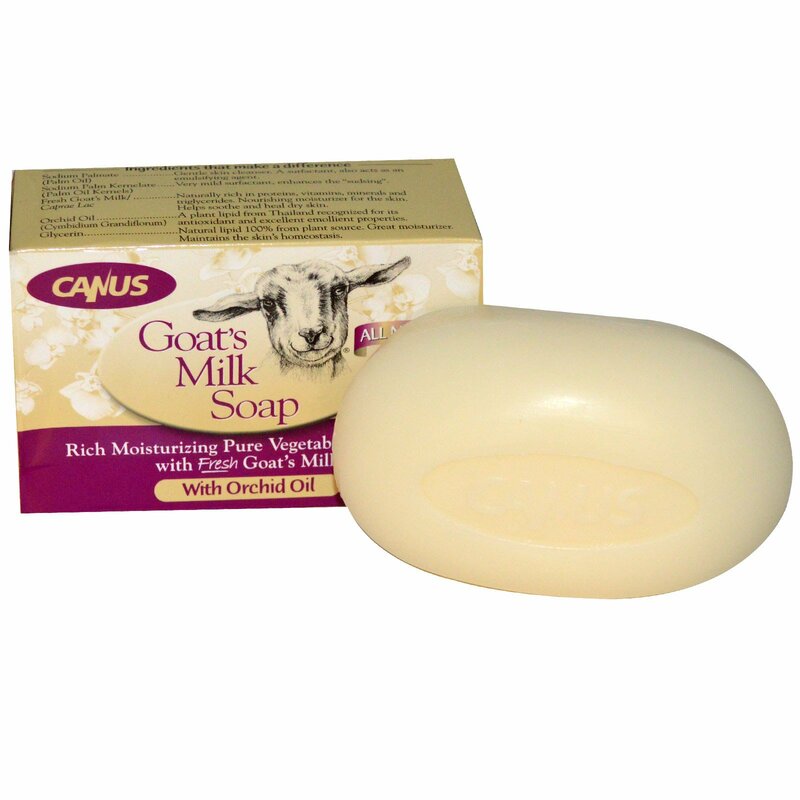 Goat's Milk contains capric and caprylic acid which reduce the alkalinity found in many skin care products. This reduced alkalinity results in a pH level closer to healthy human skin. 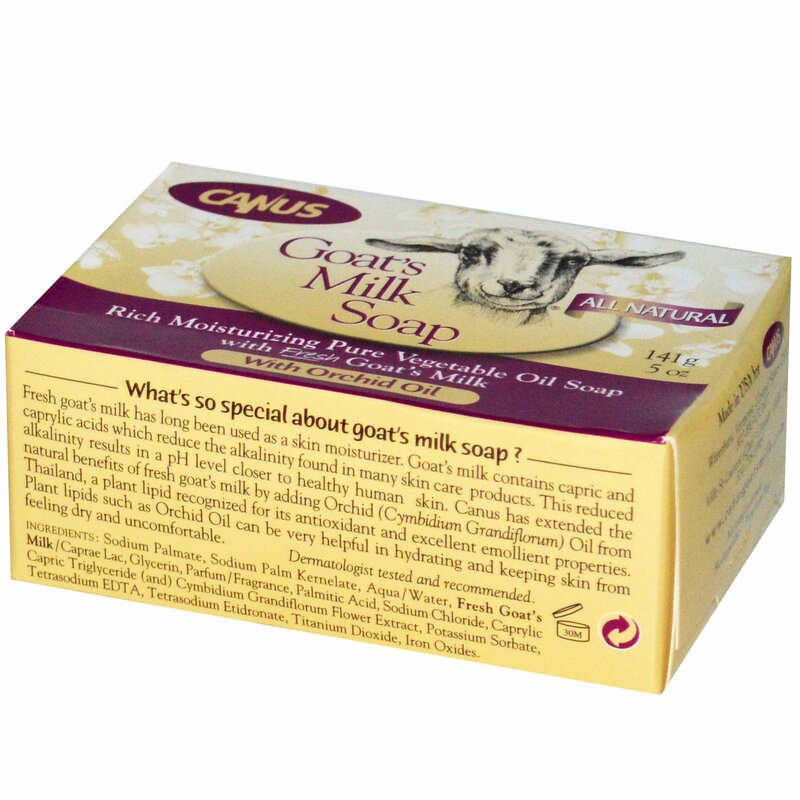 Canus has extended the natural benefits of fresh goat's milk by adding Orchid (Cymbidium Grandiflorum) Oil from Thailand, a plant lipid recognized for its antioxidant and excellent emollient properties. Plant lipids such as Orchid Oil can be very helpful in hydrating and keeping skin from feeling dry and uncomfortable. Orchid Oil (Cymbidium Grandiflorum) - A plant lipid from Thailand recognized for its antioxidant and excellent emollient properties. Sodium palmate, sodium palm kernelate, aqua, glycerin, fresh goat's milk, palm kernel acid, parfum, cymbidium grandiflorum, sodium chloride, potassium sorbate, tetrasodium EDTA, tetrasodium etidronate, titanium dioxide.